Last week we reported on the unreleased Michael Jackson song, A Place With No Name, an excerpt of which the TMZ unearthed, that borrowed heavily from America's 1971 hit A Horse With No Name. 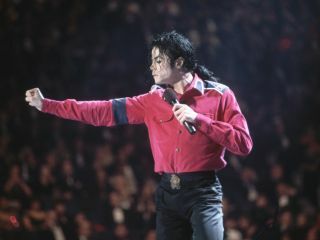 America members Gerry Beckley and Dewey Bunnell have now commented on the song, saying they were "honored" that Michael Jackson chose to re-imagine their signature tune. "We're honored that Michael Jackson chose to record it and we're impressed with the quality of the track," the duo said in a statement. "We're also hoping it will be released soon so that music listeners around the world can hear the whole song and once again experience the incomparable brilliance of Michael Jackson. Michael Jackson really did it justice and we truly hope his fans - and our fans - get to hear it in its entirety. It's really poignant." Somewhat ironically, this isn't the first time that a member of the Jackson family has used the music of America: in 2001, Janet Jackson scored a hit with Someone To Call My Lover, which sampled the group's Ventura Highway. As to when Michael Jackson might have recorded A Place With No Name, little if anything is known. Furthermore, it remains unclear when - or if - the song will be given a proper release. MusicRadar contacted America's manager Jim Morey (who, at one time, managed Jackson), who said that "the decision to release the track rests with Sony Music, not America."